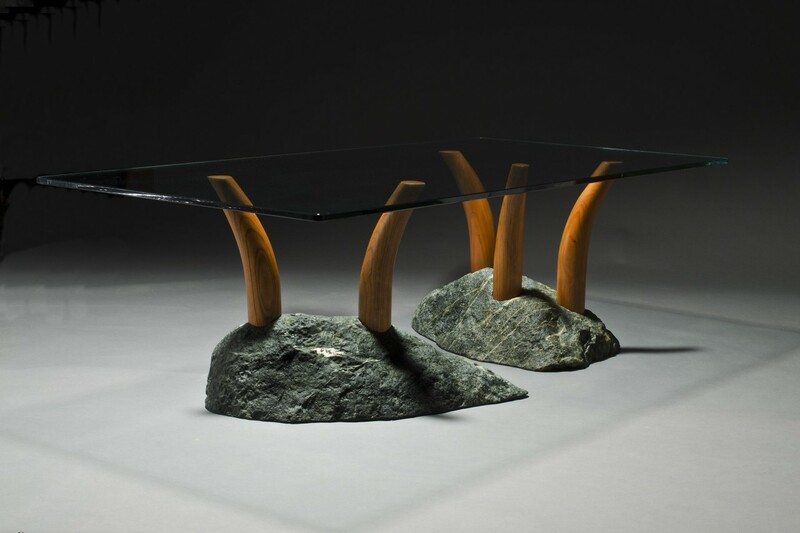 The Stone Island Coffee Table rises from two islands of natural cut green stone flecked with white veins. 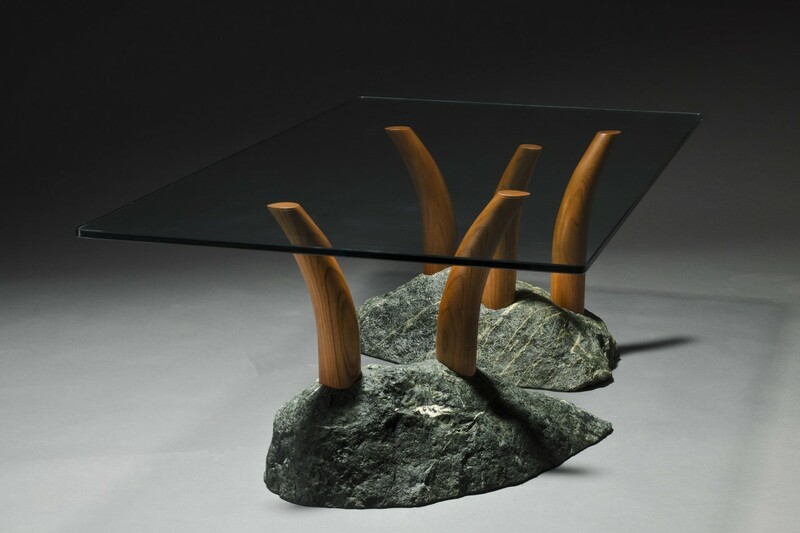 Each island is drilled to hold curved cherry wood “legs” that support the glass top. Three of these legs are a fixed height and two are adjustable so that the design will evenly support the glass top whether your floor is level or not. 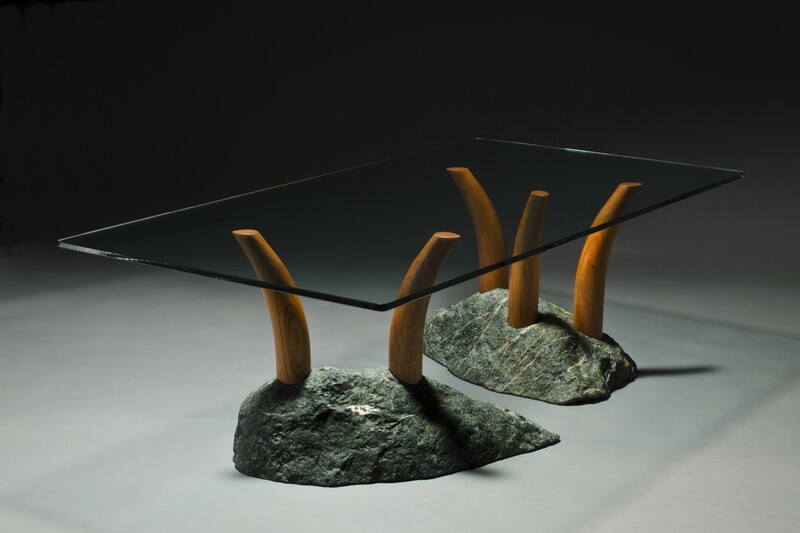 The Stone Island table is interactive – the placement of the stones can be changed and the legs can rotate to create different effects. 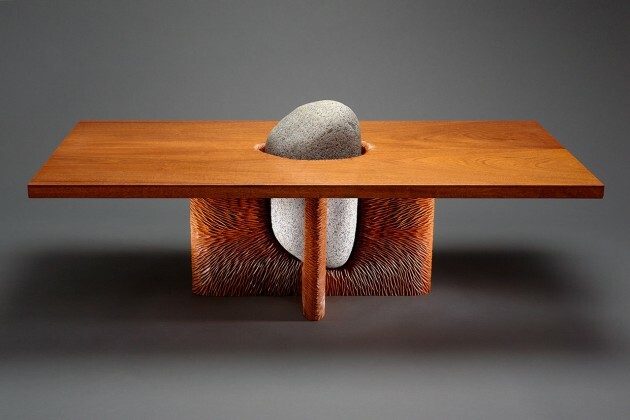 Custom options in size, stone and wood as well as a glass top that is rectangular, oval or free form provide endless variety for your interior space. 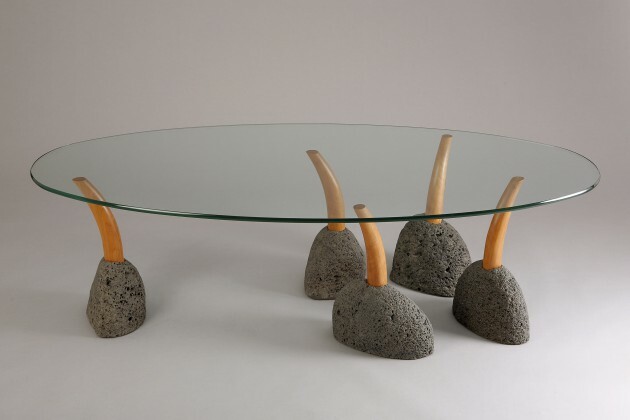 This design can be custom made as a hall table, side table, dining table or desk.